makeup artist from São Paulo based in Paris. Commissioned for magazines, top brands and shows. 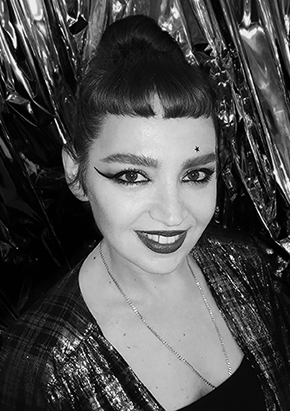 SHE HAS LIVED AND WORKED IN NEW YORK, BERLIN, LONDON AND SÃO PAULO WHERE SHE HAS ALWAYS PERFORMED HER JOB AS A HAIR STYLIST, BARBER AND MAKEUP ARTIST. MILY ALSO LOVES FINE ARTS AND PHOTOGRAPHY AND THAT MAKES ALL THE DIFFERENCE! AS AN AMBITIOUS PHOTOSHOP ARTIST SHE LOVES TO WORK ON IMAGES AND DEVELOP PRODUCTS FOR HER MAKEUP ACCESSORY BRAND MILY.